It's hard to be humble when you are as great as David? Seven years after the death of Saul, David unites the kingdom under him. 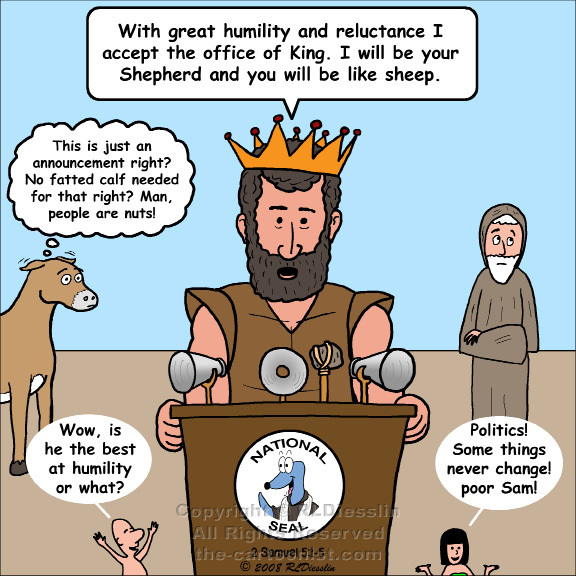 Samuel is long past at this point, but his warnings about kings should still resonate with Israel.